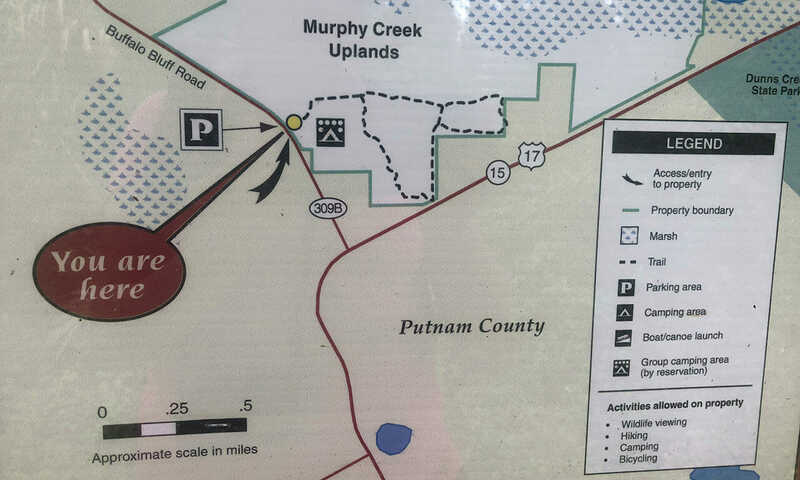 Murphy Creek | Murphy Island Palatka | Florida Hikes! 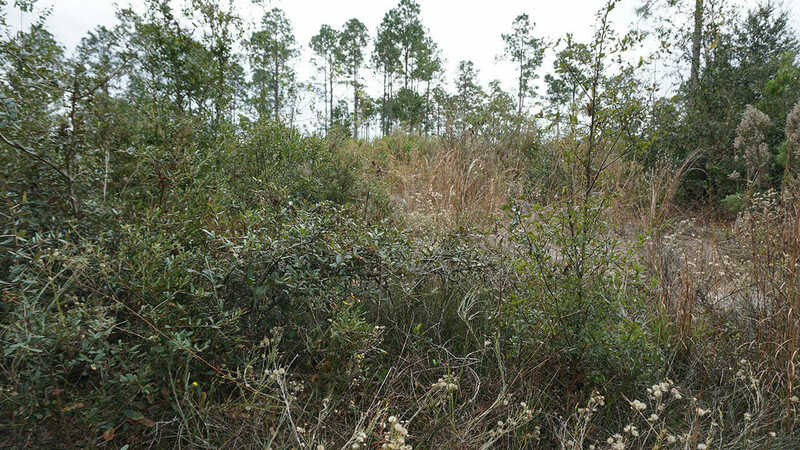 With hiking in scrubby flatwoods and sandhills above forested slopes draining to Murphy Creek, as well as on Murphy Island in the St. Johns River, this St. Johns Water Management District preserve provides two places to explore. Follow US 17 south from Palatka and cross Dunns Creek. Turn right onto East Buffalo Bluff Rd. Look for the trailhead on the right. Although it spans more than 4,700 acres where Murphy Creek creates a large island in the St. Johns River at the mouth of Dunns Creek, very little of Murphy Creek Conservation Area is accessible on foot. We parked at the main entrance for the hiking trail, off East Buffalo Bluff Road, and started along the connector trail to the loop. It is blazed with white diamonds, so it is optimized for equestrian use. The broad two-track road that serves as the trail splits at the loop. 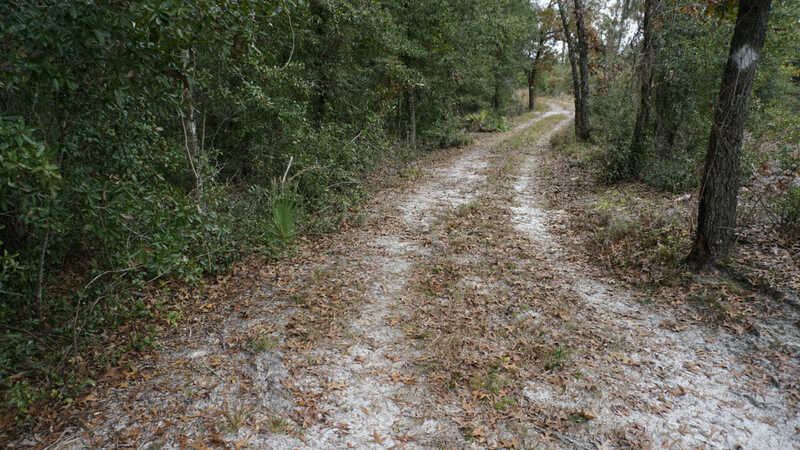 We took the left side, which stuck close to the ecotone between the scrubby flatwoods and an oak hammock that sloped down towards the creek. We’d hoped that eventually we’d find a side trail leading down towards the creek, but no luck. When we opened up the map we’d picked up, it turned out it was for Murphy Island. Since there also wasn’t a trail map on the front of the kiosk for us to photgraph before hiking, we had to look it up to figure out where we were going (we found it on the back side of the kiosk on our way out). The trail did exactly as the map on their website showed. It looped away from the river and towards US 17, where road noise snuck in. Most of the loop is out in the open. You’ll see sandhill wildflowers in the fall, and turkey oaks turning color in winter. In order to hike Murphy Island, you must paddle there (or arrive by motorboat) to the dock [29.595867, -81.654833], which is 2.5 miles by water from the nearest launch point, Brown’s Landing boat ramp [29.597579, -81.638030], on the west side of the river, north of Horseshoe Point. There is also a more kayak-friendly natural landing along Murphy Creek. 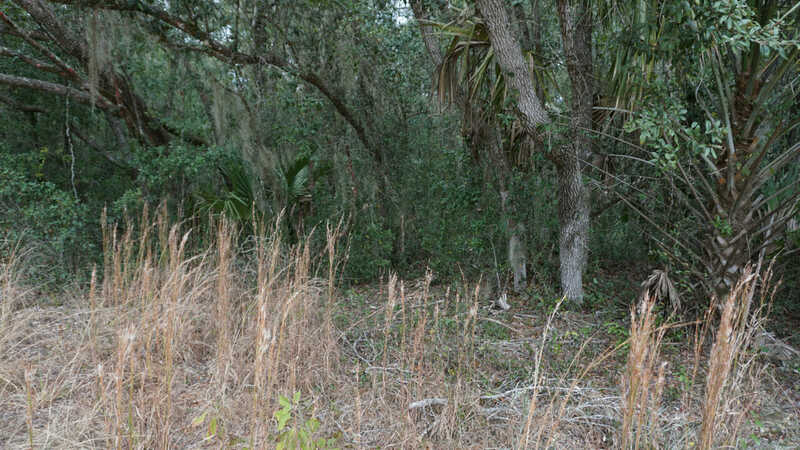 A primitive camping area is near the dock on the St. Johns River. A 2.7-mile trail loops the island, with a 0.8-mile linear trail going up and over it. In 1895, archaeologist Clarence Bloomfield Moore documented two sand mounds on Murphy Island, including “one of the most symmetrical earthworks we have encountered in Florida,” rising 21 feet. Unfortunately, like most archaeologists of his era, he and his companions destroyed the mounds in the name of research. Although they were indeed burial mounds, they had been previously distrurbed by an orange grove being planted on this non-natural hill. Archaeologist Jeffries Wyman joined Moore in documenting a shell midden on the island as well. Learn more about Murphy Island from this description for Bartram Trail Site 11. The island was called Dunns Island when the Bartrams first visited.